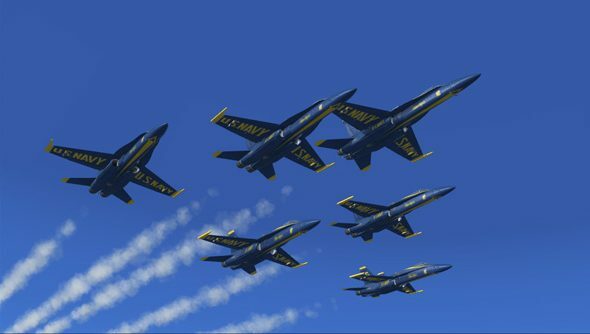 We’ve mentioned the FSX Blue Angels before – the premier virtual aerobatic stunt team that recreates the planes, moves and showbiz glamour of the real-life Blue Angels. Well, following a successful 2012 schedule, details have just been released for the team’s 2013 tour dates. You can check out all the details of the shows (including links on how to watch past aerobatic displays) over at fsxblueangels.com. about all flight sims, check ourhomepageandfollow ourflight simTwitter accountfor regular updates. Check our retail partner SimStop forFlight Simulator add onsand more.